He has 50 for Goal Keeping Skills! Probably too early to see him at the game this Wed? So excited by this. When he was at Feyenoord I held him in massive regard, him and a little left-pegger called Robben were coming through to be the next Dutch stars. Bloody injury cost the Oranje a superstar. He seems to have moved on from the injuries that plagued him while in Germany. Had a good run last season. 5 of his 6 goals last season were scored after the 80th minute. 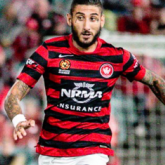 Given that WSW have a habit of rallying late in games (during & after Poznan), he should be an ideal fit. Signed on because he checked YouTube and saw vids of the fans and the team. I'm taking partial responsibility for his signing as I did for Saba. I expect a % cut in the mail over teh course of the season. I dunno man, I got the vibe we fell apart late in many games last season rather than rallied, he could be the answer to this problem. You hadn't heard of Youssouf Hersi either, right? Two years ago Tony Popovic pulled off a coup in securing the services of the former Ajax man, who helped Western Sydney to the A-League premiership and two successive grand finals before leaving for Perth Glory at the end of last season. So has 'Popa' repeated the feat by luring another unheralded Dutch winger to Wanderland? Tempering the excitement of those in red and black over the arrival of the 10-cap Netherlands international is the fact that Castelen is a year older than Hersi and has endured a horror run of injuries during his career. A product of the ADO Den Haag youth academy, Castelen won the UEFA Under-21 European Championship with the Netherlands in 2006, playing alongside Urby Emanuelson, Klaas Jan Huntelaar and Ron Vlaar in the final. He impressed for Feyenoord between 2004 and 2007, but it all went wrong upon joining Hamburg, where a succession of knee injuries restricted him to just 17 Bundesliga appearances in five years. He managed two league games during a brief spell at Russian Premier League side Volga Nizhny Novgorod in 2013, before finally rediscovery form and fitness at RKC Waalwijk last season. A total of 29 appearances, 28 of them starts, was a huge improvement on those lost middle years of Castelen's career, but he still missed six games between December and January due to (you guessed it) a knee injury. When he was on the field, Castelen was a clear standout in a struggling team, with RKC finishing third from bottom and suffering relegation to the Eerste Divisie. Of the 10 wingers and forwards to make the most appearances for the bottom three teams, Castelen was the second highest goalscorer with six strikes and boasted the second highest shooting accuracy of 61.29 percent, behind only Guus Huppers of Roda (nine goals) and NEC's Soren Rieks (64.52 percent) respectively. He was the joint leading assist provider, setting up six goals for team-mates, created the most chances (38), topped the charts for passing accuracy in his own half (87.73) and the opposition half (78.28), as well as recording the best accuracy for crossing/corners at 36.84. 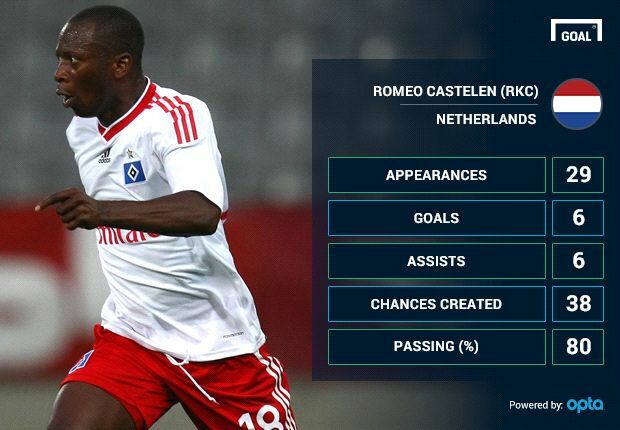 Although Castelen couldn't prevent RKC from dropping to the second tier, the Suriname-born veteran proved he's still capable of playing out a season and making a significant impact for his club, finally demonstrating the ability that once saw him tipped to make the Netherlands' 2006 FIFA World Cup squad. 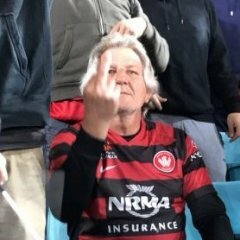 If his knee holds up and his form from an Eredivisie relegation battle translates to Parramatta Stadium, the Red and Black Bloc could well have a new hero to cheer on, while Popovic will be lauded for another transfer market masterstroke. But if Castelen's injury curse strikes again, the Dutchman is set to become very well acquainted with the Wanderers' treatment table. Is it a gamble worth taking? Is it a gamble worth taking? His qualities encapsulated in one video. Exquisite play, good technical ability, knee injury. wow can't wait to see him running at a few of the LB's in the A-league. This should really be in the Spira thread but I found this little tidbit interesting. Western Sydney coach Tony Popovic is confident Matthew Spiranovic will return a â€œbigger and betterâ€ player after successful surgery on his ankle. The Socceroos defender went under the knife on Monday and is expected to be sidelined for up to 10 weeks and will miss the clubâ€™s ACL quarter-final next month. 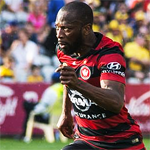 He will immediately begin his rehabilitation with Wanderers medical staff in the hope of being ready for the start of the Hyundai A-League season. â€œHe (Spiranovic) had his operation yesterday and itâ€™s all gone very well,â€ Wanderers boss Popovic said on Tuesday. â€œNow itâ€™s the recovery phase for him. Iâ€™m sure heâ€™ll be back bigger and better once he heals from the injury. â€œHe had a fantastic world cup. He came back very eager and keen to get back with the Wanderers in training with all the big games weâ€™ve got coming up. 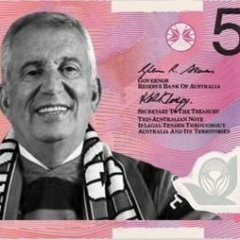 In some exciting news for the club, new recruit Romeo Castelen will arrive in Sydney tonight and will immediately get down to training ahead of the ACL clash with Guangzhou Evergrande at Parramatta Stadium on August 20.
â€œItâ€™s coming very quickly and the players are working very hard,â€ Popovic said. Did I miss an announce by the club on social media?! Typical, I'm flying from Melbourne to Gold Coast. I'll pass him on the way! The Taurus must be racing to the airport. I've been at the accountant & to gallop a couple of dogs this afternoon. Nobody else home so I may as well make the trip. 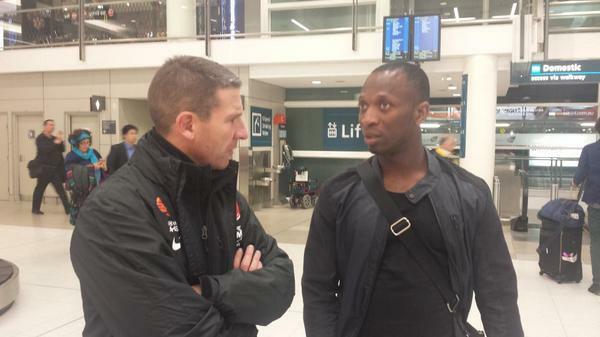 Romeo has arrived in Sydney.